The Industrial Internet Revolution is here. Join us for a few hours of killer keynotes, presentations and networking with Speakers and GE leaders who are shaking up the Industrial Internet game. GE Digital's IIoT Portfolio enables in delivering applications that ignites the next revolution by connecting physical and digital worlds. GE Digital creates software to build, operate, maintain and service the entire asset lifecycle, this is enabling industrial businesses to unlock data, push the boundaries of productivity and profitability, and drive real change across industry. Our vision for powering industrial companies with intelligent asset strategies has been recognized by industry’s leading analyst firms. Gartner Report Names GE Digital as a Representative Vendor in its 2018 APM Market Guide and as a leader in IoT solutions in IDC MarketScape: IoT Platform, (Software Vendors) 2017 Vendor Assessment. The world runs on industry and industry runs on Predix. Join us for a few hours of stimulating keynotes, technology talks and networking with GE & Industry leaders. 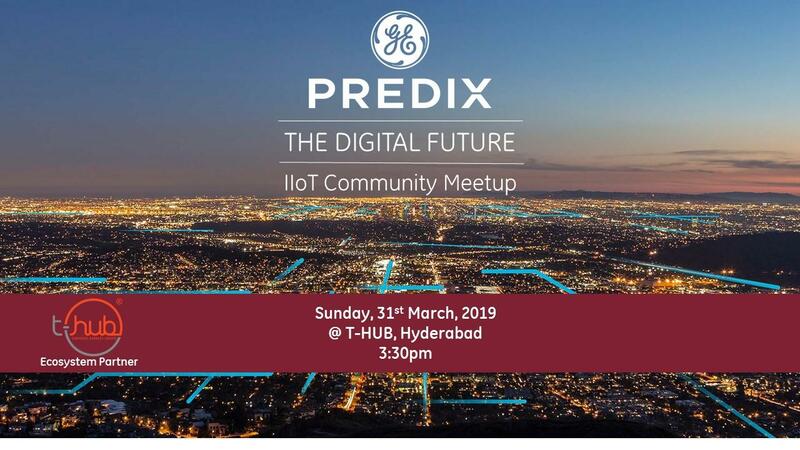 "Predix For Edge - Next Digital Transformation"
"Architecture Principles and Core Tenets for your Cloud Journey "
"Axle of IIoT - Spinning the Data with ML and AI for Autonomous Operations. What's the path of least resistance and most resistance?"